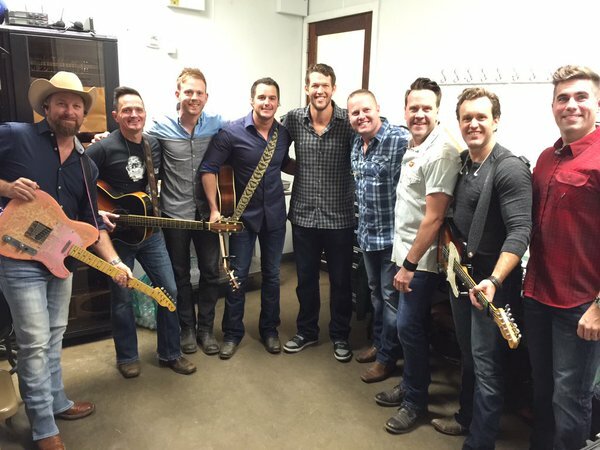 Clayton Kershaw is seen with Easton Corbin and his band in the photo above, as tweeted by Kershaw's Challenge. The other night, Kershaw and his charity Kershaw's Challenge held their 2nd Annual Live Benefit Concert in Dallas, Texas and Corbin was there to help out. Check out the Kershaw's Challenge website here. Via Joey Nowak at MLB.com, "Dodgers honored for Vin's return video." The Dodgers took home the first award of the day on Friday when it was revealed on social media that they were the recipient of this year's Best Video Board Moment Award. It stems from an Aug. 28 game against the Cubs, when Dodgers partner Magic Johnson and talk show host Jimmy Kimmel delivered the news that beloved Dodgers broadcaster Vin Scully would be returning in 2016 for his 67th season. David Hood at True Blue LA reviews prospect Josh Sborz. Sborz jumped between starting and relieving while at Virginia, but the Dodgers drafted him with the intention of returning him to the rotation. It’s easy to see physically why he should work in the role. Sborz is a well-built 6’3, 225 lbs. that isn’t in need of any additional physical projection. He has demonstrated solid arm strength in college and was often used as a multi-inning reliever, so stamina should not be an issue in converting to starting. The #Dodgers have selected the contracts of RHPs Jharel Cotton and Ross Stripling to the club’s 40-man roster. Stripling: "In minor league baseball, there really isn't a whole lot of transparency as far as knowing where you reside in an organization's mind, so this would be a great indicator to see exactly what they think of me what my future is as a Dodger." Cotton: "It's an honor to be given this opportunity," Cotton said. "I've been working hard towards this, had a few bumps in the road but that's what made the pitcher I am today." Awesome! This is definitely worth thumbing through. Via Eric Nusbaum at Vice Sports, "We Made Juan Uribe a Free Agency Book."